Dustin Pearson is the author of Millennial Roost and A Family Is a House (C&R Press, 2019). He is a McKnight Doctoral Fellow in Creative Writing at Florida State University. 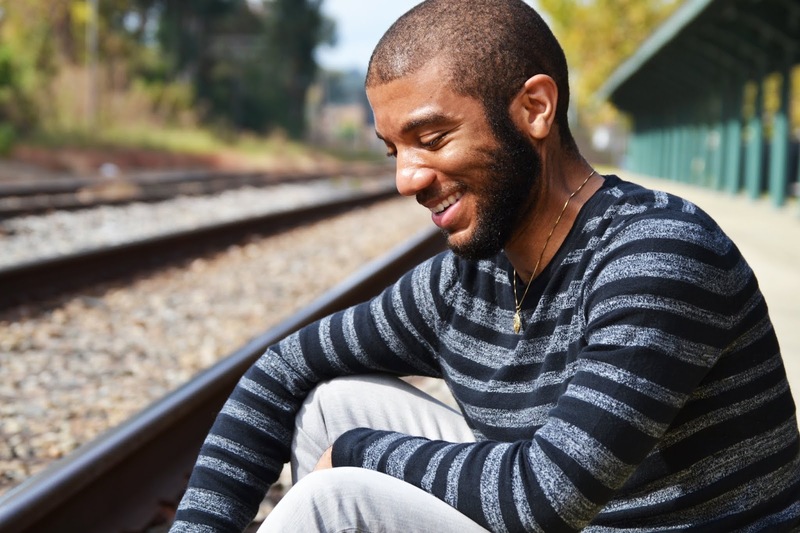 The recipient of fellowships from Cave Canem and the Virginia G. Piper Center for Creative Writing, Pearson has served as the editor of Hayden's Ferry Review and a Director of the Clemson Literary Festival. He won the Academy of American Poets Katharine C. Turner Prize and holds an MFA from Arizona State University. His work appears in Blackbird, Vinyl Poetry, Bennington Review, and elsewhere. I think I’m largely still figuring out those kinds of things. In general, though, I feel my first book has really made a wonderful path for the subsequent books. No one could’ve made me believe that my first book would be what it is. Everything after it will be a throw beyond it in one way or another, which has made my life infinitely more exciting, but as much as I say that, I wholeheartedly believe I’m one of those writers who is really just writing one big book and releasing it in parts, so everything I do from here is just holding hands with Millennial Roost and A Family Is a House and so on and so forth, and I pray I either finish the book before I die or that I come to realize that my death is the only thing that could finish the book. And what an incredibly rewarding life that would be. I came to poetry second. It seems absurd to me now, but I really didn’t know poetry existed in a contemporary capacity or as an artform I could practice until I was about 19. Fiction writing was incredibly popular at my undergraduate institution. A professor, Dr. Manganelli, recommended that I take a poetry workshop after finding out the difficulties I had getting into the fiction workshop. She told me to take Dr. Weise. The previous semester, Dr. Manganelli helped me to realize I was very good at reading and analyzing poems, and that I probably loved poetry, but I was still skeptical about my ability and willingness to write it. I attended a reading by Jillian Weise and fell in a kind of love all over again at the prospect of being able to do what she did in that reading. I was intimidated, and that made me excited. I think I might be a semi-quick writer. I write out of emotion and I’m always having emotions, so I think starting a particular writing project only takes as long as me realizing I’m having or have had emotions. I think it’s probably true that the writing becomes or is the notes, so the drafts are both close and far from their final shapes in that a draft will record the emotion but will then need to be polished into something I feel might powerfully or effectively convey that emotion to someone else, but not so much that the emotion that inspired the writing disappears or loses potency. All of my poems begin with a powerful emotion or set of emotions, some repressed thing or set of things that has or hasn’t quite worked its way to the surface. I’m undecided on that last bit because I get really anxious and confused about identifying what the text and the subtext of a poem is. I think any great poem will have both, and I hate when people try to destroy the subtext in favor of the text. As far as what type of author I am, I think I might be a weird in-between of the traits you describe. Millennial Roost is certainly a book that emerged as a result of both traits. I have no idea where my second book came from. I’m sure it was a huge accident, and I’m still nervous around it for that reason. I think I’m an author that knows I want to write on certain subjects, but I don’t have a plan for realizing those subjects. I write until they show up and sometimes I develop mechanisms along the way that prove a generative or consistent or otherwise productive mode for the composing of what ends up being a finished work. I do think public readings are part of my creative process, or perhaps that they will be. I wrote Millennial Roost imagining the speaker disclosing to another human being, even if the speaker felt there was a very low likelihood of that actually happening. I’m not quite sure how public readings have contributed to my creative process since I haven’t reflected enough in the midst of my current writing, but I have found that audiences respond well to the voice of Millennial Roost’s speaker, which has been the grandest reward, and the reason I’ve loved doing readings. I think all of my writing is invested in what the limits of human connection are—in what the relationship between intimacy, disclosure, and human connection is, if any. Does disclosing something intimate or personal enhance an otherwise informed powerful connection between human beings? Should we investigate why our connections with other human beings are powerful if that information doesn’t readily present itself? In a world of increasingly limited resources, are we most useful to each other or best serving each other when we form intimate connections? It is necessary to form intimate connections with certain groups so that we can justify how we allocate those dwindling resources? So often it seems to me that personal connections or investments are necessary for people to want to do something proactive at the same time it becomes the force by which people do the opposite. If I love someone, I know I’ll want to give them the world, but I also know that the world isn’t mine to give or that the only world that I have to give is my own, which in a lot of ways is my writing. Strangely, I find it often works out that my writing puts me into contact with those I might love rather than my writing being something I give to people I already love for whatever reasons. Mostly to keep writing. To keep putting whatever emerges from their obsessive thinking in their books. Writers document culture or perhaps imagine what it might be. It’s the larger culture’s responsibility to realize how valuable that is, that it is valuable, and to do so critically and consciously, but I certainly support and admire (some of the) writers who take on those tasks in addition to the writing. And I don’t mean to exclude writers from larger culture as much as I want to distinguish writers from those in larger culture who don’t write in the sense that I believe we’re both talking about. I haven’t yet had an experience working with a difficult outside editor. I’m not sure it’s essential, but I do think it’s refreshing having someone on the outside looking in at this thing I’ve inevitably built up around myself. I really don’t think I have a routine. If I do, it’s not conscious or concrete. A day typically starts with me waking up and thinking: Wow, was I really thinking about that all night? Stalls in my writing usually mean that I need to get out of the house. I promise it feels as though my thoughts have swollen to capacity in my living space and I need to open the door and drain them. A lot of people can read books or other works by their favorite writers and rejuvenate themselves. I really feel as though a stall is something I should wholeheartedly embrace, at least initially. I’m sure I take inspiration from everything. I’ve said this elsewhere recently, but I’m particularly sensitive to textures, movement patterns, smells, and some sounds. I love looking at vintage hand painted advertisements. I love watching old documentaries of factory processes. I’m always listening to music to screen my thoughts. Nature is a big influence, though I don’t often write out of place as much. My influences are random. All of my teachers. All of my writer friends. All of my writing peers to a differently important extent. Maybe every black writer ever. The Internet. The Bible. I’m afraid to say more specifically. Maybe that will change at some point. I’d like to have a series of major collaborations with artists in different mediums that serve as extensions of my poetry. I love 2D animation. I love music. I love film. I love the plastic arts. I love photography. There are also people I suspect are incredible. I’d like to hang out one and one with each of those people and just have a series of conversations over three weeks. There’s so much. I feel any one answer I give for this question will be disappointing. I’d love to be a composer. I seriously considered going to school for film scoring when I first started applying to colleges. Writing has always enabled me to maximize all the independence I see in myself. No other artform has allowed me to do that. I build the world from the ground up in my writing, and that’s exhilarating. I don’t have to compromise. The last great book would be The Garlic Ballads by Mo Yan. The last great film would be Bajo La Piel De Lobo. I think I’m working on a manuscript in which two brothers work their way to Hell together but get separated. The older brother disappears, so the happenings unfold from the younger brother’s point of view. I’m also working on a manuscript about friendship, but I can’t coherently say more than that.